I love a good filler. Having a great, short, interesting game to fill the constant gaps is worth its weight in gold. 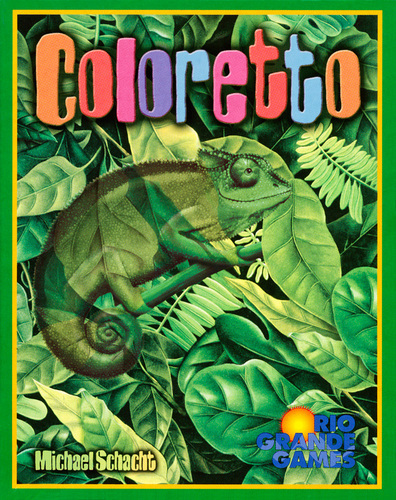 Coloretto is a terrific filler. This is all housed in a small card box, which can be had for a very reasonable $10. Place one of the Row Cards on the table for each player in the game. 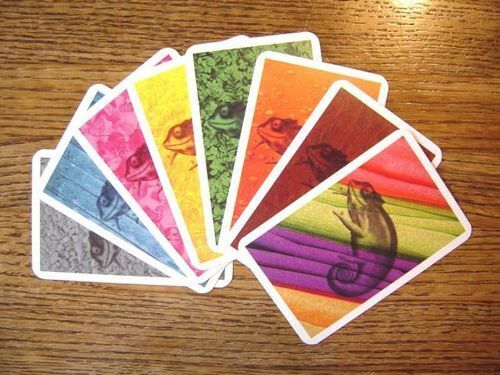 Each player takes one card of one color and places it in front of him or her. Shuffle the rest of the cards into a pile, deal 15 cards off the top of the pile, place the Last Round card on top of these 15, and then place the rest of the pile on top of this stack of 16 cards. This is very simple: You either draw a card and add it to a row, or take a row and add the cards to your collection. If you choose to draw a card, you place it in one of the rows. A row can have at most 3 cards in it. If all rows have 3 cards in them, you must choose to take one of the rows. If you choose to take a row, you gather the cards and sort them by color and type. ( You can only take a row if it has at least 1 card in it…) Once you’ve taken a row, you’re done for that round; once everyone has taken a row, the round is over. You place the Row Cards out again, and start a new round. Once the Last Round card is drawn, you finish the round and the game is over. Now you assign the jokers to one of the colors, and count up the colors. Here’s where it gets interesting. You only get to pick 3 colors that will score you positive points, according to the numbers above. Any sets in any colors beyond those 3 will score you negative points. So you’re trying to collect 3 colors, and no more, if possible. This, of course, makes where people place the drawn cards ripe with mean possibilities. Now you simply add up the positive points, subtract the negative ones, and add 2 points for each of the “+2” cards you’ve managed to snag. The person with the most points wins. Family Game? Definitely! It’s a game my oldest can easily grasp, and I suspect the youngest isn’t far behind. And its length makes it something my wife enjoys playing, too. Gamer’s Game? Absolutely! This is an excellent filler, with interesting choices. This game is fun, fast, cheap, portable, and worthy to be in any game collection. Thanks for reading! Let us know what some of your favorite fillers are!